Hutchison (81) — Kerrigan Braxton 16, Gardner Dunavant 14, Elizabeth Farnsworth 10, Griffin Gerhardt 8, Caroline Kyle 2, Macy McCullough 5, Reba Moody 8, Madison Moore 11, Carter Stovall 4, Jennie Davis 1, Annsley Barton 2. 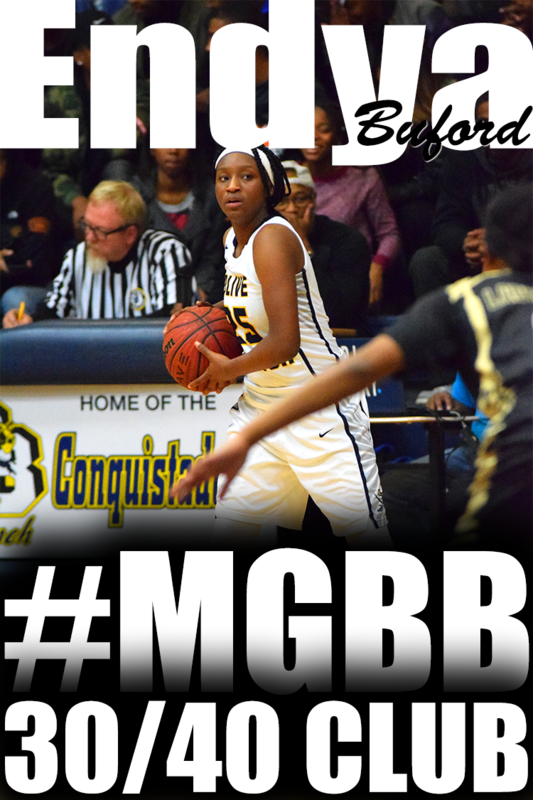 Lake Cormorant (32) — Jasmine Suggs 8, Tamaria Thomas 6, Aliyah Nelson 2, Tree Johnson 14, Kaylen Johnson 2. Whitehaven (60) — Brandi Clay 11, Ebony Malone 2, Maia McCoy 20, Tia Polk 2, Jasmine Rhodes 4, Brianna Shaw 6, Morgan Walton 2, Ariel Williams 6, Jayla Woods 7. 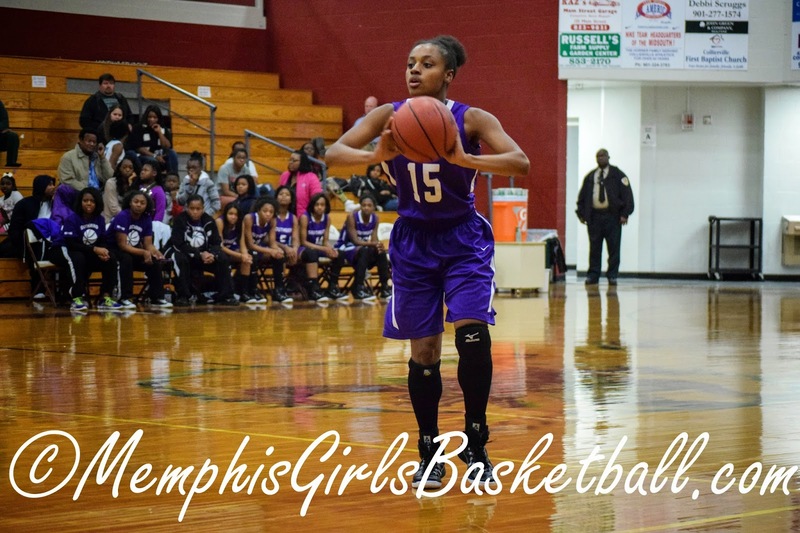 West Memphis (48) — Ty Bullins 2, Anqunetta Chatt 9, Sable Greer 12, Alexis Hamlet 3, Amesha Hamlet 17, LaShala Sain 4, Niyah Townsend 1. Records — Whitehaven 14-3, West Memphis 11-3. Cordova (32) — Michaela Campbell 6, Zakyia Head 4, Taylor Lattimore 5, Jerhonise Rollins 2, K’Yanna Terry 5, Andreana Wrister 10. Arlington (54) — Raegyn Branch 4, Nakia Grandberry 3, Sarah Grandberry 6, Mirrakohl Johnson 7, Ashley Lee 10, Callie McMorran 9, Tori Sewell 15. Records — Cordova 6-7, Arlington 11-6. 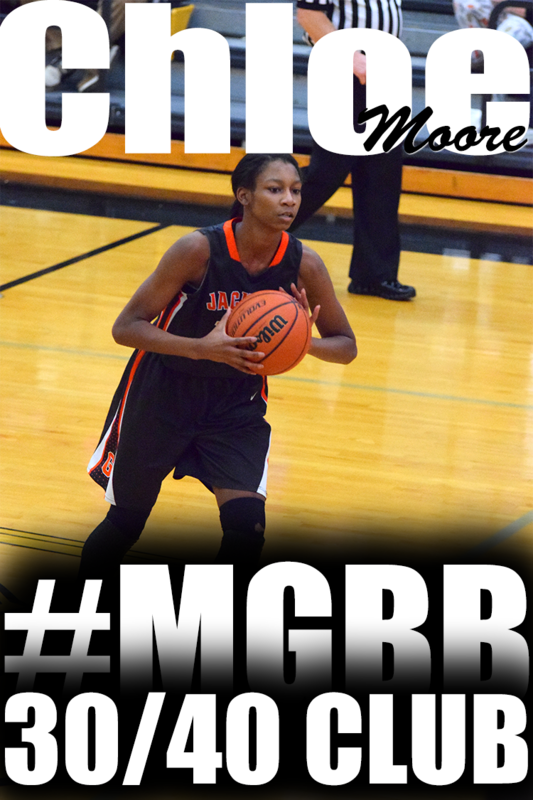 Jonesboro (43) — Matte Curtis 7, Amber Hatchet 4, Chayla Johnson 6, Khiandra Perry 4, Starr Taylor 17, Donita Webb 5. Madison-Ridgeland Aca. (51) — Carlie Kellems 4, Amber Landing 9, Tatyana Lofton 15, Amanda May 2, Anna Peoples 2, Aleah Sutton 11, Amber Sutton 8. Records — Jonesboro 6-8, Madison-Ridgeland Aca. 20-3. Bolton (61) — Jaelyan Jones 6, Amrie Nickelson 2, Lakyia Parker 4, Taylor Smith 4, Ayanna Swift 1, Heaven Thompson 28, Kerrice Watson 16. Southwind (52) — Kiante Butts 11, Destiny Henderson 6, Rochelle Lee 2, Kiara Lowery 2, Ebony Shaw 15, Jasmine Suggs 16. Records — Bolton 8-5, Southwind 10-5. Collierville (42) — Cullen Crocker 5, Trinity Farmer 2, Kara Harbin 5, Megan Loden 8, Kyra Pryor 10, Madison Rozier 4, Destiny Shaw 2, Lauren Taylor 6. Raleigh-Egypt (25) — Dynesha Echols 4, Brenda Fields 6, Jerika Isom 2, Brittany Johnson 3, Manaya Jones 10. Records — Collierville 6-11, Raleigh-Egypt 10-8. Marion (54) — Dahlia Bell 25, Teiangula Boston 2, Kennedi Boykins 6, Jakyya Clay 6, Ebony Day 2, Mya McCray 2, Tramauryia Hunter 9, Jamerria Johnson 2. St. Agnes (30) — Wallis Jenkins 3, Amanda Lammey 10, Caroline Pietrangelo 8, Sarah Robertson 2, Amelia Wigley 7. Records — Marion 6-7, St. Agnes 4-7. Byhalia (41) — Arkeisha Beard 7, Alicia Buford 4, Deronique Martin 6, Tyneria Moore 10, Kimberly Reed 14. Kirby (33) — Alexis Acoff 10, Bryunna Buntyn 4, Marneisha Hamer 6, Juantia Walton 13. Records — Byhalia 5-10, Kirby 5-7. 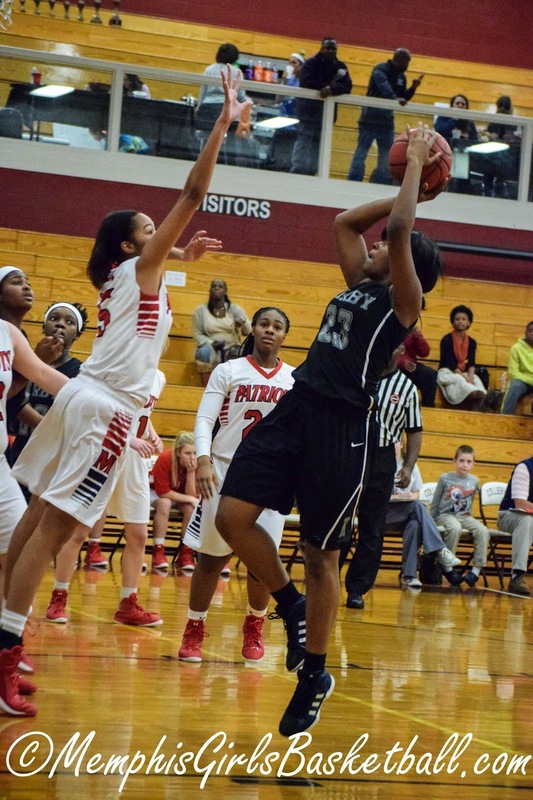 East Ridge (37) — Jayla Stone 22, Aaliyah Martin 8, Kyhonah Lawrence 7. Millington (41) — Tamia Aldridge 12, Glenda Garner 16, Shavawn Murray 2, Marquisha Sanders 11. Records — East Ridge 1-14, Millington 4-12. ECS (67) — Hope Gribble 6, Daisha Jiles 4, Emily Lytle 23, Molly Martin 18, Celia Owens 4, Brooke Rendall 3, Jordan Shackleford 3, Graham Sippel 2, Lee Ellen Stanley 2, Adrienne Teed 2. Trousdale County-Tenn. (30) — Jessica Walsh 2, Macey Hawkins 2, Makenzee Dixon 6, Hannah Gregory 10, Destinee Dixon 6, Ashley Cornwell 3, Hannah Brooke Ellis 1. ECS (49) — Hope Gribble 9, Emily Lytle 28, Molly Martin 5, Celia Owens 3, Jordan Shackleford 1, Lee Ellen Stanley 3. Christian Academy of Knoxville (56) — Claire Brock 6, Taylor Dodson 15, Amber Heatherly 5, Bethany Meadows 2, Anna Hammakerz 26, Kelsey Naler 2. Petal-Miss. (66) — Stringer 2, Hudgerson 2, Thompson 1, Gavis 13, Han Lott 30, Hal Lott 2, McCallum 16. Lewisburg (52) — Lindy Anderson 7, Madison Baldwin 11, Lauren Brady 2, Claire Fleming 2, Destiny Gardner 13, Jordyn Lentz 1, Molly Murphy 6, Ariel Tunstall 10. MASE (21) — Shernika Spencer 10, Breyanna Warren 8, Petitia Boles 3. Rossville Christian (48) — Esther Beasley 2, Breanna Bing 4, Hannah Hurdle 2, Kendyl Leath 2, Caroline Loftin 4, Alexis Long 2, Emma Lutz 2, Mary Cathryn Mathis 7, Kara Novarese 15, Taylor Robertson 8. Records — Rossville Christian 11-2. Fayette Aca. (58) — Kaitlin Bowers 1, Rebecca Fletcher 8, Abby Hilliard 29, Bekah Moffatt 5, Kayli Skelton 13, Alex Wadley 2. Marshall Aca. (36) — Blake Martin 9, Alexis McGregor 19, Wesley Ann Ray 2, Audrey Poole 4, Haley McMinn 2. Records — Fayette Aca. 7-7. Marianna (38) — Lee 9, Foreman 2, Cross 7, Whitaker 6, Jones 2, Cheers 12. Mitchell (61) — Dominique Chatman 25, Tyarica French 5, DeMiya Grandberry 8, Nicole Johnson 4, Kiara McCollins 2, Equeria Patterson 3, Derenisha Taylor 14. St. Benedict (54) — Taylor Barnes 4, Bailey Coppedge 1, Nicole Ferris 11, Lauren Neuhoff 6, Courtney Parker 2, Braxton Powers 3, Victoria Rourke 1, Camille Trice 3, Nicole Ungaro 23. Paxon-Fla. (33) — Sebastian 7, McKee 6, Beck 1, Long 6, Brazile 11, Corbett 2. Records — St. Benedict 9-6. The Winter/Holiday Break means (for most players) the end of first semester. This makes the perfect time to do an academic and basketball performance checkup. How are your grades? Are you maintaining a decent average? Have you taken the ACT? How did you do? How are your basketball stats? Are you close to the goals you set for the season? How many college coaches have you contacted since the beginning of the school year? Did they respond? Marion (55) — Dahlia Bell 17, Teiangula Boston 2, Kennedi Boykins 4, Jakyya Clay 14, Ebony Day 2, Gabrielle Johnson 3, Mya McCray 4, Tyquesha Selvy 4, Tramauryia Hunter 5. Bolton (58) — Pedan Craig 1, Jaelyan Jones 5, Lakyia Parker 6, Taylor Smith 4, Heaven Thompson 26, Kerrice Watson 16. Records — Marion 5-7, Bolton 7-5. 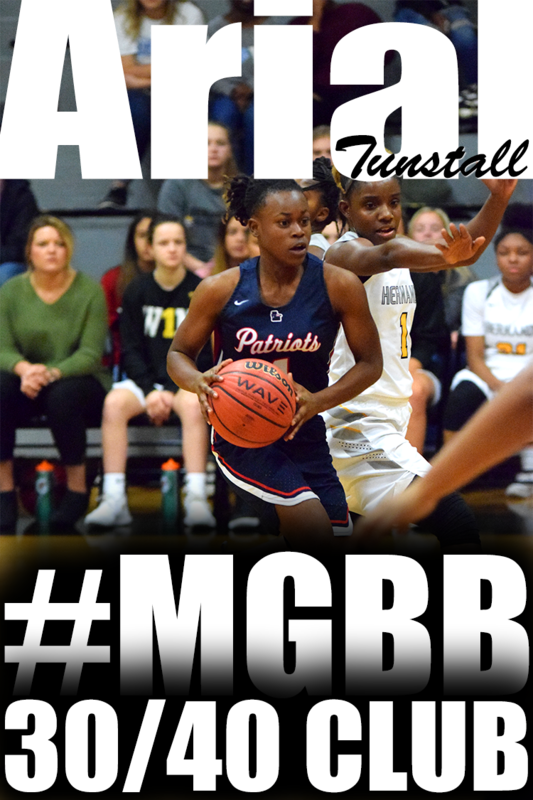 West Memphis (64) — Summer Abram 1, Ty Bullins 3, Anqunetta Chatt 2, Sable Greer 12, Alexis Hamlet 32, Amesha Hamlet 3, Taylor Johnson 1, LaShala Sain 9, Niyah Townsend 1. Arlington (42) — Raegyn Branch 2, Nakia Grandberry 5, Sarah Grandberry 2, Hailey Hammonds 6, Mirrakohl Johnson 13, Ashley Lee 2, Callie McMorran 6, Cheiyanne Norton 2, Tori Sewell 4. Records — West Memphis 11-2, Arlington 10-7. Byhalia (25) — Alicia Buford 1, Deronique Martin 3, Tyneria Moore 15, Alexis Pye 6. East Ridge (24) — Jayla Stone 11, Aaliyah Martin 1, Kyhonah Lawrence 12. Records — Byhalia 4-10, East Ridge 1-13. Collierville (45) — Vanessa Christensen 2, Trinity Farmer 3, Kara Harbin 8, Megan Loden 2, Kyra Pryor 3, Madison Rozier 13, Destiny Shaw 4, Jada Taylor 2, Lauren Taylor 8. Jonesboro (70) — Amber Hatchet 8, Chayla Johnson 5, Aajah McCullough 3, Khiandra Perry 14, Starr Taylor 34, Donita Webb 4, Cailyn Cliff 2. Records — Collierville 5-11, Jonesboro 6-7. Kirby (43) — Alexis Acoff 11, Marnesha Hamer 26, Juantia Walton 6. Millington (40) — Tamia Aldridge 9, Tasia Bland 3, Jherika Brown 4, Traci Clark 2, Glenda Garner 18, Lindsey Harris 2, Marquisha Sanders 2. Records — Kirby 5-6, Millington 3-12. Madison-Ridgeland Aca. (72) — Kellems 6, Landing 12, Lofton 23, May 2, Peoples 6, Al. Sutton 12, Am. Sutton 6, Best 1, Russell 2, Barlow 2. Raleigh-Egypt (55) — Dynesha Echols 2, Brenda Fields 24, Jerika Isom 6, Brittany Johnson 6, Manaya Jones 13, Kiera Murray 4. Records — Madison-Ridgeland Aca. 19-3, Raleigh-Egypt 10-7. Southwind (42) — Asjah Anthony 8, Rochelle Lee 12, Ebony Shaw 15, Jasmine Suggs 7. St. Agnes (36) — Wallis Jenkins 10, Amanda Lammey 14, Caroline Pietrangelo 2, Sarah Robertson 2, Kindall Ross 4, Amelia Wigley 4. Records — Southwind 10-4, St. Agnes 4-6. Cordova (36) — Michaela Campbell 10, Zakyia Head 2, Taylor Lattimore 10, K’Yanna Terry 8, Andreana Wrister 6. Whitehaven (61) — Ebony Malone 8, Maia McCoy 11, Tia Polk 8, Jasmine Rhodes 3, Brianna Shaw 2, Lanecion Soward 13, Ariel Williams 10, Jayla Woods 6. Records — Cordova 6-6, Whitehaven 13-3. Paloderus (33) — Jordan 9, Destuni 6, Kityahu 10, Artmisha 2, Shodenisia 2, Jessica 4. Briarcrest (57) — Julianne Bryson 3, Brynn Holden 11, Elise Holden 12, Morgan Hunt 17, Tatianna Love 2, Kathryn Newman 5, Savanna Owens 2, Alyiah Wells 4, Brianna Pope 1. MASE (33) — Kayla Price 2, Shernika Spencer 23, Breyanna Warren 5, Petitia Boles 3. Fayette Aca. (55) — Kaitlin Bowers 5, Sara Layne Ellis 4, Rebecca Fletcher 4, Bekah Moffatt 4, Hayley Moffatt 2, Kayli Skelton 29, Heather Slocum 5, Alex Wadley 2. Records — Fayette Aca. 6-7. Marshall Aca. (36) — Martin 7, McGregor 6, Ray 14, Wilkins 3, Poole 6. Rossville Christian (51) — Kendyl Leath 2, Caroline Loftin 18, Mary Cathryn Mathis 8, Kara Novarese 11, Taylor Robertson 12. Records — Rossville Christian 10-2. Senatobia (62) — Norwood 9, Cathey 5, Allen 12, Saulsberry 8, Carter 8, Ayers 4, Sesson 6, King 10. Lewisburg (64) — Lindy Anderson 15, Madison Baldwin 17, Lauren Brady 6, Jordyn Lentz 6, Molly Murphy 8, Ariel Tunstall 12. Mitchell (36) — Dominique Chatman 4, DeMiya Grandberry 9, Shakira Hearn 1, Nicole Johnson 2, Equeria Patterson 9, Derenisha Taylor 11. Little Rock Central (75) — Allen 13, Orr 8, Brown 5, Ready 8, Perry 4, K. Williams 11, S. Williams 4, Scott 13, Jackson 9. Cookeville-Tenn. (53) — Bean 14, Gwynn 7, Masters 7, Maberry 3, Savage 10, Whitson 9, Marek 3. St. Benedict (39) — Taylor Barnes 12, Nicole Ferris 10, Darrielle Nelson 5, Courtney Parker 4, Nicole Ungaro 8. Overton in the Peach State Holiday Tournament in Atlanta; Center Hill, Southaven at the Farm Bureau Shootout in Hickory Flat, Miss. KIPP in the Peach State Holiday Tournament in Atlanta; Southaven at the Farm Bureau Shootout in Hickory Flat, Miss. Overton in the Peach State Holiday Tournament in Atlanta; Southaven at the Farm Bureau Shootout in Hickory Flat, Miss. ; DeSoto Central at Renasant Bank Classic in New Albany, Miss. TBD: Melrose vs. Tupelo in the Rumble on the River in Fulton, Miss. ; KIPP at the Peach State Holiday Tournament in Atlanta; Covington at the Baldwyn (Mo.) Tournament; Center Hill, Southaven at the Farm Bureau Shootout in Hickory Flat, Miss. The P-15 Workout is an opportunity to get an extra 15 minutes of individual practice in before or after team practice. You decide if you want to do the workout everyday this week or come up with your own schedule. Madison-Ridgeland Aca. (32) — Peoples 3, Landing 4, Al. Sutton 7, Kellems 4, Am. Sutton 6, Lofton 8. Arlington (41) — Raegyn Branch 5, Mirrakohl Johnson 14, Ashley Lee 8, Callie McMorran 3, Cheiyanne Norton 3, Tori Sewell 8. Records — Madison-Ridgeland Aca. 18-3, Arlington 10-6. East Ridge (32) — Stone 16, Moon 3, Lawrence 13. Bolton (47) — Christina Craft 3, Jaelyan Jones 2, Lakyia Parker 10, Taylor Smith 3, Heaven Thompson 13, Kerrice Watson 16. Records — East Ridge 1-12, Bolton 6-5. Collierville (41) — Cullen Crocker 2, Trinity Farmer 1, Kara Harbin 8, Megan Loden 4, Kyra Pryor 2, Madison Rozier 8, Destiny Shaw 2, Alexis Taylor 9, Jada Taylor 3, Lauren Taylor 2. Cordova (65) — Michaela Campbell 3, Zakyia Head 20, Taylor Lattimore 7, D’Andra Poe-Wilkins 6, Jerhonise Rollins 4, Karai Samuels 9, K’Yanna Terry 9, Jasmine Walker 2, Andreana Wrister 5. Records — Collierville 5-10, Cordova 6-5. Whitehaven (44) — Brandi Clay 5, Ebony Malone 2, Maia McCoy 18, Tia Polk 4, Jasmine Rhodes 1, Brianna Shaw 3, Ariel Williams 11. Jonesboro (43) — Starr Taylor 12, Chayla Johnson 14, Amber Hatchet 9, Donita Webb 2, Matte Curtis 3, Terrica Steele 3. Records — Whitehaven 12-3, Jonesboro 5-7. Byhalia (40) — Arkeisha Beard 9, Tyneria Moore 8, Kimberly Reed 18, Alexis Pye 2, Leekadra Smith 3. Marion (48) — Dahlia Bell 19, Kennedi Boykins 5, Ebony Day 10, Gabrielle Johnson 5, Mya McCray 3, Teiangula Boston 2, Jakyya Clay 4. Records — Byhalia 3-10, Marion 5-6. Kirby (49) — Alexis Acoff 8, Bryunna Buntyn 2, Marnesha Hamer 16, Shakira Neal 8, Stephanie Turner 9, Juantia Walton 4, Desirea Jackson 2. 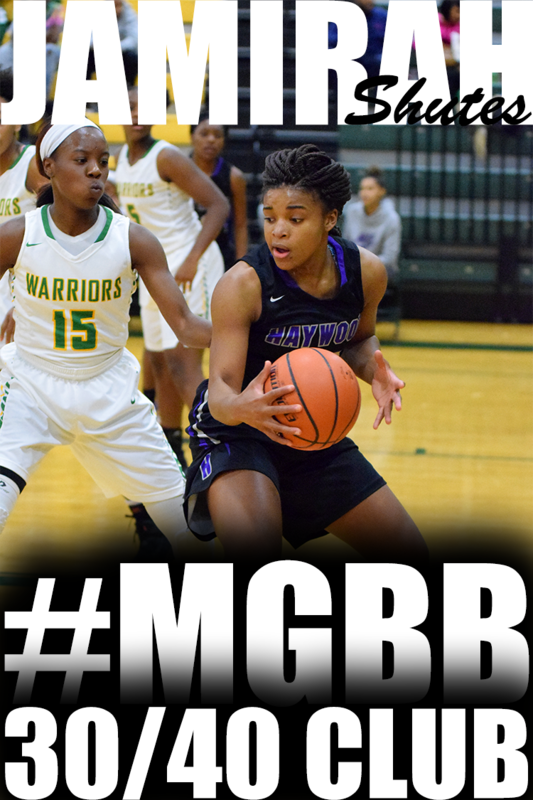 Southwind (62) — Kiante Butts 19, Destiny Henderson 8, Kiara Lowery 4, Ebony Shaw 11, Jasmine Suggs 20. Records — Kirby 4-6, Southwind 9-4. Millington (34) — Tamia Aldridge 7, Tasia Bland 4, Glenda Garner 5, Lindsey Harris 5, Marquisha Sanders 13. St. Agnes (40) — Wallis Jenkins 10, Amanda Lammey 23, Caroline Pietrangelo 2, Sarah Robertson 1, Kindall Ross 2, Amelia Wigley 2. Records — Millington 3-11, St. Agnes 4-5. Raleigh-Egypt (14) — Brenda Fields 11, Manaya Jones 3. West Memphis (66) — Anqunetta Chatt 4, Alexis Hamlet 16, Sable Greer 7, Lynn Walker 4, Niyah Townsend 2, LaShala Sain 10, Ty Bullins 4, Christina Wilson 8, Taylor Johnson 2, Amesha Hamlet 9. Records — Raleigh-Egypt 10-6, West Memphis 10-2. Marshfield-Ky. (42) — Collson 5, Greenlee 19, Theobald 2, Broyles 3, Johns 6, French 2, French 5. White Station (58) — Allanna Black 2, Alex Christian 4, Damiah Griffin 6, Kyla Harris 2, Taylor Hayes 10, Taelor Manning 2, Dejah Montgomery 4, Brittni Moore 1, Emanye Robertson 20, Kania Taylor 2, Taylor Williams 5. ECS (45) — Hope Gribble 3, Emily Lytle 20, Molly Martin 7, Celia Owens 6, Jordan Shackleford 7, Graham Sippel 2. Wilson Central (64) — Byrd 18, Elrod 6, Altman 2, Spray 27, Ventura 1, Jackson 10. 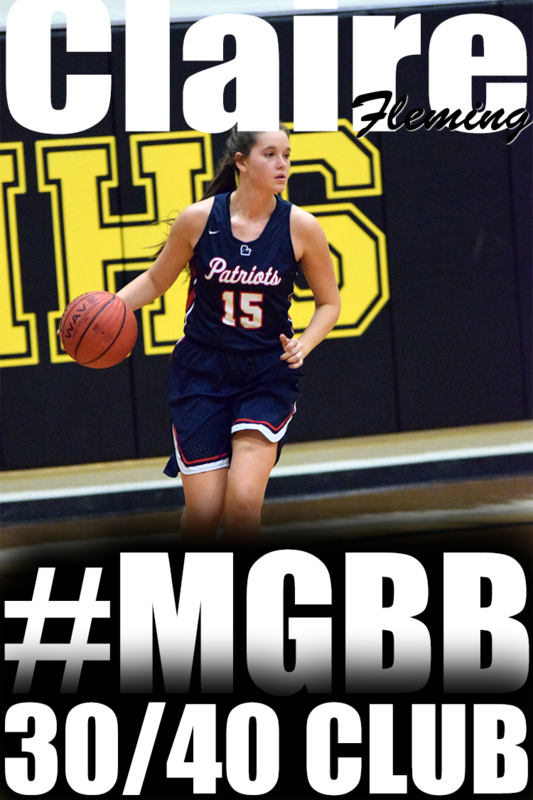 Torri Lewis, MHEA: The Ole Miss signee averaged 16 points, 7 rebounds and 6 assists to lead the Eagles to the championship of the More Than Basketball Tournament at Harding. 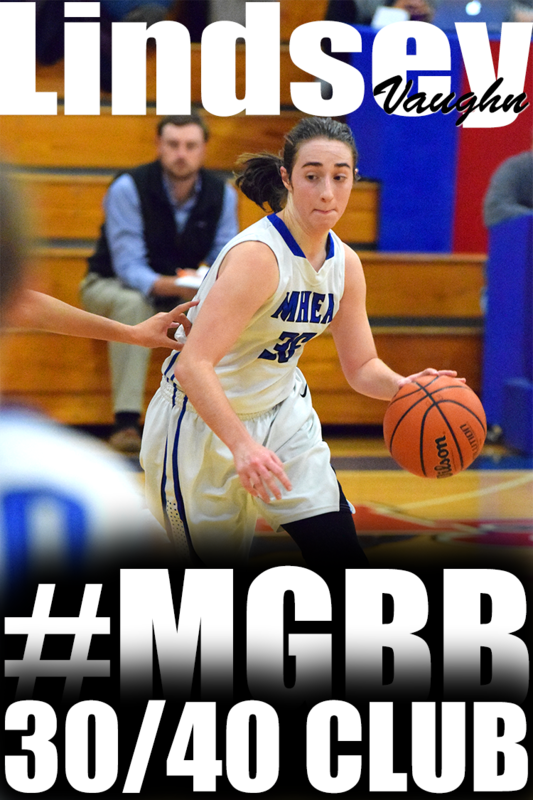 In the title game against Harding, she scored 23 points to lead MHEA to a convincing 80-46 victory. Nominations: Coaches can nominate candidates for Player of the Week by e-mailing varlas@commercialappeal.com. The deadline is noon Tuesday. Collierville (54) — Cullen Crocker 7, Kara Harbin 6, Kyra Pryor 10, Madison Rozier 8, Destiny Shaw 4, Alexis Taylor 8, Jada Taylor 4, Lauren Taylor 7. Byhalia (45) — Arkeisha Beard 11, Destiny Butler 4, Tyneria Moore 7, Kimberly Reed 18, Alexis Pye 2, Alicia Buford 3. Records — Collierville 5-9, Byhalia 3-9. Marion (51) — Dahlia Bell 30, Ebony Day 5, Gabrielle Johnson 5, Mya McCray 1, Teiangula Boston 4, Jakyya Clay 6. Cordova (57) — Michaela Campbell 8, Zakyia Head 14, Taylor Lattimore 12, D’Andra Poe-Wilkins 2, Jerhonise Rollins 5, Karai Samuels 10, K’Yanna Terry 4, Jasmine Walker 2. Records — Marion 4-6, Cordova 5-5. Bolton (46) — Christina Craft 2, Jaelyan Jones 3, Lakyia Parker 4, Taylor Smith 4, Heaven Thompson 29, Kerrice Watson 4. Jonesboro (49) — Starr Taylor 14, Chayla Johnson 13, Aajah McCullough 3, Khiandra Perry 2, Amber Hatchet 2, Donita Webb 10, Nancy Smith 5. Records — Bolton 5-5, Jonesboro 5-6. Madison-Ridgeland Aca. (73) — Anna Peoples 5, Amber Landing 6, Aleah Sutton 23, Carlie Kellems 7, Amber Sutton 9, Tatyana Lofton 19, Amanda May 4. Kirby (57) — Alexis Acoff 15, Bryanna Buntyn 7, Marnesha Hamer 17, Shakira Neal 5, Stephanie Turner 4, Juantia Walton 9. Records — Madison-Ridgeland Aca. 18-2, Kirby 4-5. West Memphis (65) — Anqunetta Chatt 13, Christina Wilson 8, Alexis Hamlet 17, Sable Greer 5, Summer Abram 7, Lynn Walker 5, Niyah Townsend 1, LaShala Sain 5, Ty Bullins 4. Millington (26) — Tamia Aldridge 5, Jherika Brown 1, Glenda Garner 16, Lindsey Harris 2, Shavawn Murray 2. Records — West Memphis 8-2, Millington 3-10. St. Agnes (41) — Taylor Burford 2, Wallis Jenkins 10, Amanda Lammey 16, Kindall Ross 6, Rachel Siano 2, Amelia Wigley 5. Raleigh-Egypt (47) — Taylor Bridges 5, Dynesha Echols 2, Brenda Fields 9, Jerika Isom 2, Manaya Jones 23, Kiera Murray 6. Records — St. Agnes 3-5, Raleigh-Egypt 10-5. Arlington (43) — Raegyn Branch 7, Mya Brown 6, Mirrakohl Johnson 3, Ashley Lee 5, Cheiyanne Norton 10, Tori Sewell 12. Southwind (38) — Kiante Butts 5, Destiny Henderson 4, Rochelle Lee 4, Ebony Shaw 11, Jasmine Suggs 14. Records — Arlington 9-6, Southwind 8-4. Whitehaven (55) — Brandi Clay 8, Ebony Malone 6, Maia McCoy 5, Tia Polk 4, Jasmine Rhodes 2, Brianna Shaw 3, Lanecion Soward 4, Morgan Walton 6, Ariel Williams 7, Jayla Woods 10. 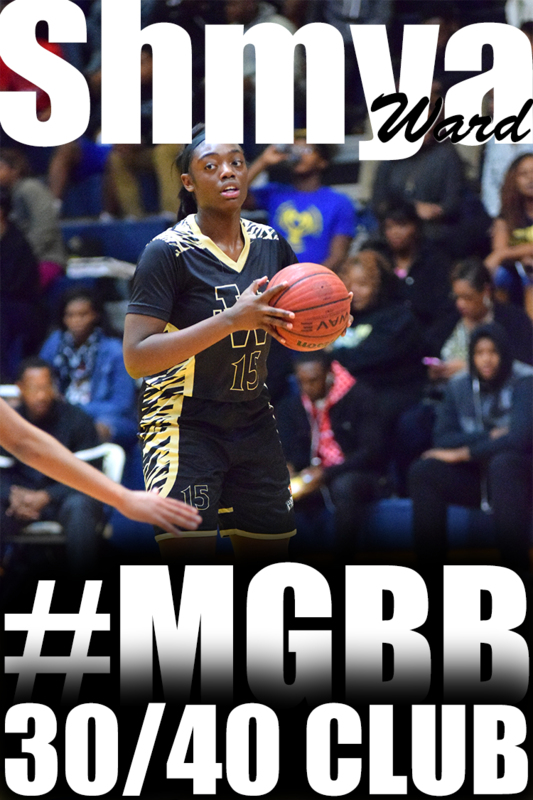 East Ridge (18) — Jayla Stone 11, Aaliyah Martin 4, Mamie Thomas 3. Records — Whitehaven 11-3, East Ridge 1-11. Ridgeway (64) — Brandi Beasley 13, Kendra Boone 2, Oreonna Brown 8, Alexus Bryson 5, Elizabeth Dixon 2, Eryn Foster 14, Breouanna Humphrey 4, Tierney Paylor 16. Olive Branch (44) — Mahogany Vaught 12, Myah Taylor 7, Savanna Geeslin 7, LaDaijha Watson 7, Myah Leflore 5, Quienteal Battle 4, Katie Blackmon 2. Records — Ridgeway 12-0, Olive Branch 13-1. 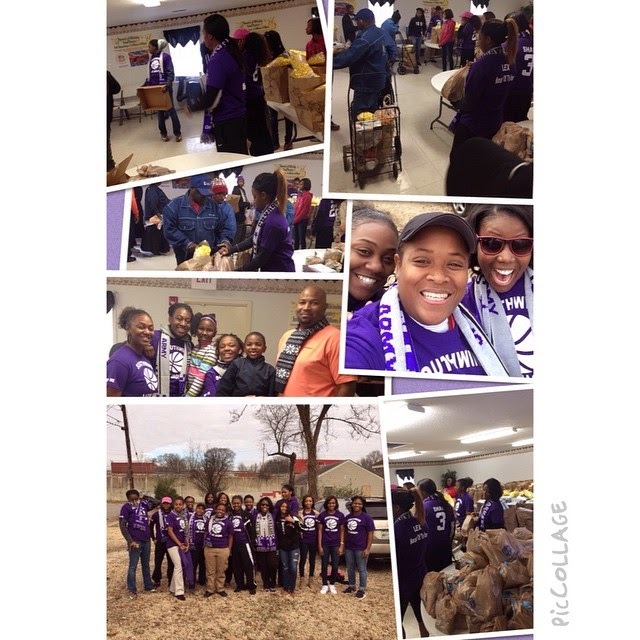 Southwind's team recently took time from basketball to give back to the community. They donated food and helped with handing it out at the Showers of Blessings Food Pantry. Catholic at the KCHS Christmas Tournament in DeKalb, Miss. CBHS in the Spain Park Jaguar Classic in Hoover, Ala.; Catholic at the KCHS Christmas Tournament in DeKalb, Miss. East, Manassas at the Carbondale (Ill.) Holiday Tournament; Bartlett, Germantown in the Go Southern Beach Blowout in Fort Walton Beach, Fla.; Houston at the Normandy Holiday Invitational in St. Louis; Southwind at the Travis Outlaw Slam Dunk at the Hump in Starkville, Miss. ; Kingsbury at the Martin (Tenn.) Westview Tournament; Carver at the Seymour (Tenn.) Christmas Tournament; Oakhaven at the Cougar Classic in Coldwater, Miss. ; Briarcrest at the Mater Dei Invitational in Breese, Ill.; MUS at the Father Ryan Christmas Tournament in Nashville; ECS at the Mike Miller Classic in Sioux Falls, S.D. ; Covington at Harrison (Ark.) Tournament; Center Hill at the Mississippi State Christmas Classic in Starkville, Miss. East, Manassas at the Carbondale (Ill.) Holiday Tournament; White Station in the Wild Wing Cafe Hoop Classic in Charlotte; Bartlett, Germantown in the Go Southern Beach Blowout in Fort Walton Beach, Fla.; Houston at the Normandy Holiday Invitational in St. Louis; Southwind at the Travis Outlaw Slam Dunk at the Hump in Starkville, Miss. ; MLK Prep, Wooddale at the Munford Christmas Classic; Kingsbury at the Martin (Tenn.) Westview Tournament; Fairley, Westwood in the Hub City Tournament in Jackson, Tenn.; Carver at the Seymour (Tenn.) Christmas Tournament; MAHS at the Larry Ransom Classic in Somerville; Oakhaven at the Cougar Classic in Coldwater, Miss. ; Briarcrest at the Mater Dei Invitational in Breese, Ill.; MUS at the Father Ryan Christmas Tournament in Nashville; St. Benedict at the Sandestin Blowout in Freeport, Fla.; ECS at the Mike Miller Classic in Sioux Falls, S.D. ; Harding at the Hickman County Tournament in Centerville, Tenn.; Lausanne at the Joe Machens Great 8 Classic in Jefferson City, Mo. ; Covington at Harrison (Ark.) Tournament; Center Hill at the Mississippi State Christmas Classic in Starkville, Miss. Harding (46) — Kelsi Elkins 8, Anna Horner 12, Antoinette Lewis 21, Sarah Luttrell 2, Callie Stubbs 3. MHEA (80) — Annaliese Burnett 2, Ashley Carson 3, Jamie Crum 11, Torri Lewis 23, Julia Nicholson 2, Samantha Price 3, C. Shoemaker 1, Lindsey Vaughn 11, Bailey Wilkes 24. Bartlett (48) — Madison Carroll 1, Stella Gill 2, Jessica Jackson 12, Charity Savage 22, Nyla Smith 4, Dee Dee Williams 5, Elizabeth Williams 2. Cordova (35) — Michaela Campbell 11, Zakyia Head 6, Taylor Lattimore 2, Jerhonise Rollins 4, K’Yanna Terry 7, Jasmine Walker 2, Andreana Wrister 3. Southaven (56) — Adrieuna Brown 9, Emily Evans 10, Erica Jones 6, Ty Metcalf 8, Astraea Moore 17, Alexis Morris 2, Kaleigha Wilson 4. ECS (54) — Hope Gribble 6, Daisha Jiles 5, Emily Lytle 9, Molly Martin 23, Celia Owens 8, Brooke Rendall 3. Kingsbury (22) — Terykah Austin 3, Taya Banks 2, Angilina Couch 2, Edrina Couch 4, Candiz Echols 7, Angel Fleming 4. Cordova (57) — Michaela Campbell 20, Zakyia Head 19, Taylor Lattimore 4, D’Andra Poe-Wilkins 4, K’Yanna Terry 6, Jasmine Walker 2, Qelsi Kelly 2. Whitehaven (69) — Brandi Clay 6, Ebony Malone 2, Maia McCoy 4, Jasmine Rhodes 4, Chelsey Sanders 5, Brianna Shaw 10, Lanecion Soward 7, Morgan Walton 2, Shmya Ward 9, Tierne Ward 1, Alexis Williams 13, Jayla Woods 4, Kayla Brown 2. Hillcrest (6) — Kadeeja Paterson 6. Mayfield-Ky. (36) — Womack 12, Dickerson 4, Fazzari 8, Barrett 5, Looper 6, Emerson 1. Douglass (59) — Marquera Carnes 6, Gazmyne Herndon 30, Jerrica Johnson 12, Lynesha Jones 1, Kierra Morris 6, Launtrest Readus 2, Chiquita Johnson 2. Arlington (50) — Raegyn Branch 6, Mya Brown 1, Mirrakohl Johnson 14, Ashley Lee 4, Callie McMorron 8, Cheiyanne Norton 9, Tori Sewell 8. Briarcrest (40) — Brynn Holden 10, Elise Holden 6, Morgan Hunt 3, Tatianna Love 2, Kathryn Newman 7, Savanna Owens 6, Alyiah Wells 6. Records — Arlington 8-6, Briarcrest 8-2. DeSoto Central (74) — Courtney Banks 9, Cayla Banks 2, Shayne Diaz 2, Stormy Green 12, Zaire Hicks 14, Alayah Silas 11, Nay Strickland 13, Lindsey Whiteside 11. Hernando (44) — Kaylee Craig 2, Lizzy Lloyd 7, Alyssa Sanders 4, Aaliyaha Thornton 6, Kaitlin Jones 10, Kinsley Capps 4, Lizzie Boyd 7, Kaitlin Doyle 4. Records — DeSoto Central 12-1. West Memphis Christian (8) — Andrea Beyer 2, CeCe Motley 4, Julia Cash 2. Hutchison (60) — Kerrigan Braxton 13, Gardner Dunavant 1, Elizabeth Farnsworth 16, Anna Field 4, Griffin Gerhardt 4, Caroline Kyle 2, Macy McCullough 4, Reba Moody 6, Catey Nelson 5, Carter Stovall 5. St. Benedict (52) — Taylor Barnes 21, Bailey Coppedge 2, Nicole Ferris 10, Courtney Parker 9, Braxton Powers 2, Nicole Ungaro 8. Lausanne (44) — McKenzie Baker 2, Breanna Bullock 12, Katherine DelPriore 9, Taa’lor Fondren 5, Selena Pruitt 5, Princess Stark 11. Records — St. Benedict 7-4, Lausanne 4-4. Catholic (61) — Sara Culley 2, Suzanne Dease 8, Zareia Ector 18, Harmony Lucas 13, Gabrielle Moore 14, Shania Smith 4, Cheyenne Smith 2. MAHS (39) — Kendall Berry 3, Kourtney Berry 6, Tamia Boyland 11, Jade Guzman 2, Myaisha Stewart 17. Records — Catholic 2-3, MAHS 2-8. Collierville (41) — Vanessa Christensen 2, Cullen Crocker 1, Trinity Farmer 1, Kara Harbin 10, Megan Loden 2, Hannah Oliver 4, Kyra Pryor 2, Madison Rozier 8, Destiny Shaw 4, Alexis Taylor 2, Jada Taylor 3, Lauren Taylor 2. Millington (46) — Tamia Aldridge 10, Jherika Brown 9, Traci Clark 2, Glenda Garner 8, Lindsey Harris 9, Marquisha Sanders 6, Anjeleca Sykes 2. Records — Collierville 3-9, Millington 3-9. Nashville Overton (55) — Brown 20, Hill 8, Graham 1, Stewart 6, Patton 18, Hawkins 2. Overton (59) — Rodrea Echols 11, Kyla Green 14, Dontrecia Johnson 2, Jalisa Jones 10, Ciera Pettis 11, Kayla Williams 11. Records — Nashville Overton 6-6, Overton 10-1. Northpoint (61) — Ashtyn Baker 14, Lindsay Bramlitt 14, Lauren Decembrino 4, Lauren Gross 5, Karlie Hughes 18, Andrea Sparkman 2, Jade Wells 4. St. George’s (40) — Katherine Clayton 4, Molly Courtney 10, Madeline East 4, Grace Hunt 2, Abbigayle Roberts 16, Makayla Smith 4. Records — Northpoint 7-1, St. George’s 6-4. Bartlett (36) — Madison Carroll 5, Stella Gill 2, Jessica Jackson 19, Ashley Payne 2, Charity Savage 4, Nyla Smith 4. Harding (51) — Zaria Christy 2, Kelsi Elkins 8, Anna Horner 14, Antoinette Lewis 21, Sarah Luttrell 1, Elaine Savage 2, Callie Stubbs 3. Central (54) — Miyah Barnes 26, Montyria Bennett 2, Jasmine Carson 2, Tijuana Griggs 12, Johne’ Stewart 10, Jireh Washington 2. MHEA (61) — Jamie Crum 18, Torri Lewis 17, Kylie Loadholt 2, Samantha Price 7, Lindsey Vaughn 2, Bailey Wilkes 15. Southaven (69) — Adrieuna Brown 15, Emily Evans 15, Erica Jones 8, Ty Metcalf 9, Astraea Moore 7, Alexis Morris 2, Kaleigha Wilson 3, Jenna Cunningham 2, Gabby Morgan 6, Tann Metcalf 2. Kingsbury (42) — Terykah Austin 6, Taya Banks 11, Angilina Couch 1, Candiz Echols 20, Martha Eddings 2, Angel Fleming 2. Cordova (63) — Michaela Campbell 16, Zakyia Head 5, Taylor Lattimore 6, K’Yanna Terry 20, Jasmine Walker 4, Andreana Wrister 10, Jerhonise Rollins 2. ECS (67) — Hope Gribble 11, Daisha Jiles 2, Emily Lytle 29, Molly Martin 14, Celia Owens 9, Jordan Shackleford 2. Mitchell (71) — Dominique Chatman 10, Tyarica French 8, DeMiya Grandberry 20, Nicole Johnson 15, Kiara McCollins 12, Equeria Patterson 3, Derenisha Taylor 3. Westwood (45) — Breanna Boyd 2, Marnique Burton 19, Jasmine Long 9, Tacoria Stokes 13, Kadaisha White 2. Gibson Co. (74) — Lannon 18, Fields 26, Smithson 12, White 15, Upchurch 2, Roach 1. Douglass (60) — Marquera Carnes 12, Jahmere Dangerfield 4, Gazmyne Herndon 30, Jerrica Johnson 6, Kierra Morris 8. Munford (66) — Gabby Crawford 17, Phenicia Howard 16, Shania Johnson 2, Lindsey Owen 15, Kierra Richardson 16. Lawrence Co. (62) — Watson 18, Wayne 3, Ulewicz 2, Beck 3, Pope 21, Clark 15. Records — Munford 11-3, Lawrence Co. 11-1. Here is the schedule of games for the Larry Ransom Christmas Classic, which takes place Dec. 27, 29 and 30 at Fayette Ware High School. Here is the schedule of games for the SCIAA Anti-Bullying Basketball Classic, which takes place Saturday at Ridgeway. Sacred Heart (49) — Anna Easley 8, Hanna Fitzgerald 7, Alaina Graham 1, Breanna Hunt 22, Lauren Ragsdale 3, Alexander 6, Richardson 2. Catholic (36) — Zareia Ector 9, Deyon Gipson 3, Harmony Lucas 6, Gabrielle Moore 11, Dakota Roberts 3, Shania Smith 2, Cheyenne Smith 2. Central (62) — Miyah Barnes 20, Jasmine Carson 10, Tijuana Griggs 8, Johne’ Stewart 16, Jireh Washington 8. ECS (42) — Hope Gribble 8, Emily Lytle 14, Molly Martin 10, Celia Owens 6, Brooke Rendall 4. Kingsbury (33) — Terykah Austin 4, Taya Banks 6, Edrina Couch 2, Candiz Echols 16, Martha Eddings 5. Harding (55) — Zaria Christy 4, Kelsi Elkins 4, Valecia Harris 5, Anna Horner 21, Antoinette Lewis 14, Sarah Luttrell 2, Elaine Savage 2, Callie Stubbs 3. Cordova (49) — Michaela Campbell 9, Zakyia Head 15, Taylor Lattimore 12, D’Andra Poe-Wilkins 2, K’Yanna Terry 2, Kymbriah Eugene 9. MHEA (68) — Ashley Carson 6, Jamie Crum 18, Torri Lewis 6, Julia Nicholson 2, Samantha Price 8, Lindsey Vaughn 6, Bailey Wilkes 22. Bartlett (58) — Madison Carroll 4, Stella Gill 6, Jamye Haley 2, Jessica Jackson 12, Charity Savage 31, Nyla Smith 2, Dee Dee Williams 1. Southaven (54) — Alexis Morris 8, Kaleigha Wilson 8, Bre Armstrong 1, Emily Evans 7, Ty Metcalf 4, Astraea Moore 9, Erica Jones 4, Adrieuna Brown 13. Amber Mitchell, Northside: After finishing last season with a 7-18 mark, Northside has already won five games this year and Mitchell has been a big reason why. The 6-2 senior had 25 points, 11 rebounds and six blocks against GRAD Academy last week and followed up with a triple-double (22 points, 16 rebounds, 10 blocks) against Carver. Whitehaven (50) — Ebony Malone 10, Maia McCoy 3, Tia Polk 1, Jasmine Rhodes 2, Brianna Shaw 9, Lanecion Soward 14, Morgan Walton 4, Ariel Williams 7. Craigmont (47) — Kiara Caswell 8, Danielle Conley 16, Taylor Crutcher 1, Keveana Fayne 1, Morgan Morris 12, Daja Scurlock 9. Records — Whitehaven 9-3, Craigmont 8-3. Power Center Aca. 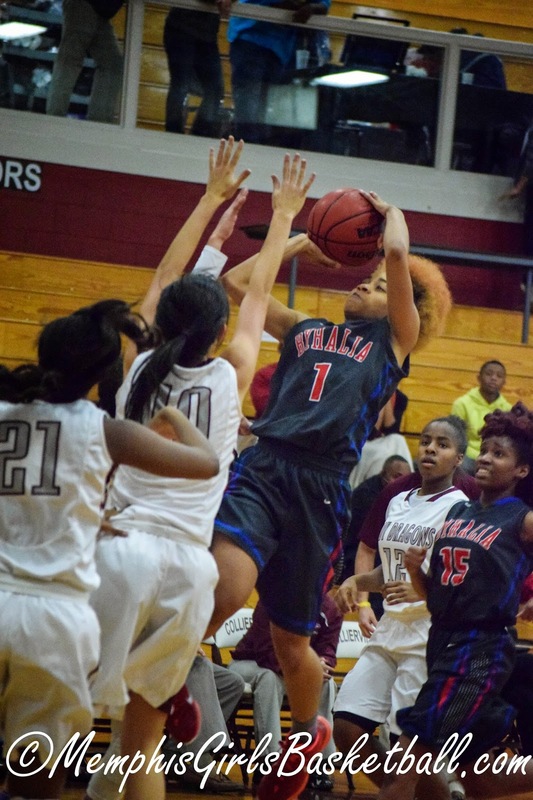 (31) — Serina Finnie 9, Dana Moore 5, Allison Sledge 8, Makayla Wright 7, Ta’Kerra Black 2. St. George’s (40) — Sydney Brown 9, Katherine Clayton 4, Molly Courtney 5, Madeline East 13, Grace Hunt 6, Abbigayle Roberts 1, Maiya Smith 2. Records — St. George’s 6-3. 77-year-old Woman can Lift More than You: What’s Your Excuse? After reading this story, my first thought to myself: I better not have any more excuses about anything. Is there something that you desire to do but haven’t because you think you can’t? If you think you can’t, you are right. If you think you can, you are right!!!!! MASE (46) — Kayla Price 4, Shernika Spencer 25, Breyanna Warren 16, Paris Adkins 1. Carver (53) — Brittany Davison 10, Mildred Goins 6, Sydne Harris 7, Faith Moore 4, Octavia Moore 20, Tarciania Sutton 2, Christianna Williams 4. Records — Carver 5-7 (3-1, 16-A). Germantown (53) — Breaunna Burks 7, Breanna Cowans 20, Brittany Cowans 2, Tangie Dunlap 4, Destiny Manning 6, Danielle Moore 12, Carria Smith 2. Collierville (36) — Trinity Farmer 3, Kara Harbin 17, Kyra Pryor 3, Madison Rozier 7, Destiny Shaw 4, Lauren Taylor 2. Records — Collierville 4-8 (1-1, 15-AAA). MHEA (36) — Jamie Crum 10, Torri Lewis 10, Samantha Price 5, Lindsey Vaughn 6, Bailey Wilkes 5. Cordova (32) — Michaela Campbell 7, Zakyia Head 14, Taylor Lattimore 7, D’Andra Poe-Wilkins 2, K’Yanna Terry 2. 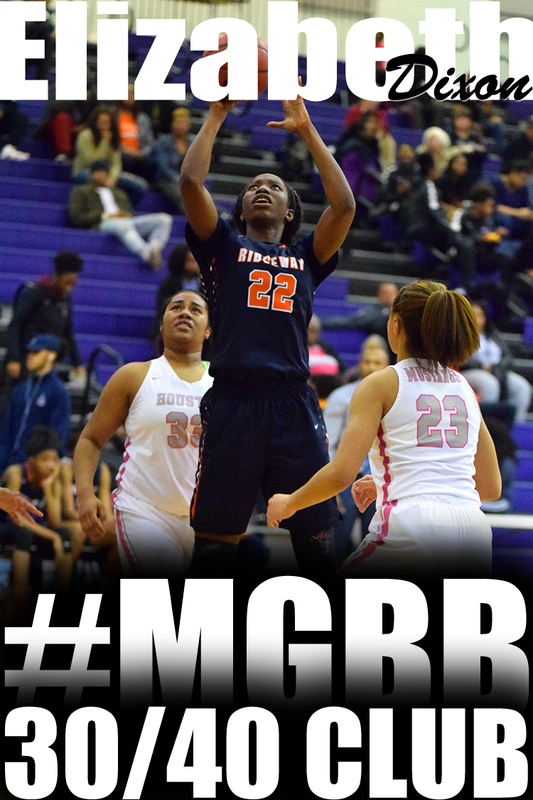 Manassas (63) — Joslynn Basemore 23, Ranisha Brown 4, Tonisha Clayborn 10, Alexes Craft 2, Rakeeva Curry 2, Shyanne Stevenson 22. Kingsbury (60) — Terykah Austin 14, Taya Banks 10, Marsha Churchman 2, Angilina Couch 6, Candiz Echols 18, Martha Eddings 10. Records — Manassas 7-1, Kingsbury 5-3. Millington (20) — Tamia Aldridge 2, Traci Clark 3, Glenda Garner 13, Shukorea Smith 2. Munford (58) — Gabby Crawford 27, Phenicia Howard 6, Shania Johnson 2, Johnna Jones 3, Lindsey Owen 6, Kierra Richardson 14. Houston (35) — Mary Collins 2, Shaela Gardner 6, Kelsey Nadler 3, Jaida Roper 8, Shannon Sharp 12, Kelsey Trice 4. Southwind (47) — Asjah Anthony 3, Kiante Butts 8, Destiny Henderson 3, Rochelle Lee 10, Ebony Shaw 16, Jasmine Suggs 7. Records — Houston 9-2, Southwind 8-3. Carroll Aca (8) — Ebone Fuller 2, Sidney Rich 6. Tipton-Rosemark Aca. (62) — Kallie Alexander 10, Taylor Beasley 4, Bethany Berger 8, Alexa Crum 4, Emily Fisher 6, Brittany Hall 6, Lauren Moody 2, Ally Naifeh 2, Katie Smith 14, Molly Word 6. Records — Tipton-Rosemark Aca. 6-6. Ridgeway (71) — Brandi Beasley 11, Kendra Boone 2, Oreonna Brown 6, Alexus Bryson 10, Elizabeth Dixon 14, Eryn Foster 8, Casey Greer 1, Breouanna Humphrey 8, Tierney Paylor 2, Shenobia Stewart 2, Kiara White 5, Takesia Barnes 2. Wooddale (15) — Jericka Burrus 2, Terrika Hunt 2, TarShay Ivory 2, Andrea McElvaine 9. Records — Ridgeway 9-0, Wooddale 1-8. Manassas (63) — Joslynn Basemore 25, Tonisha Clayborn 6, Alexes Craft 2, Rakeeva Curry 7, Brittany Jones 2, Charlesetta Riley 1, Shyanne Stevenson 20. Fairley (7) — J. Butler 3, A. Ross 4. Records — Manassas 6-1 (2-0, 16-AA). Central (92) — Miyah Barnes 29, Jasmine Carson 19, Tijuana Griggs 17, Johne’ Stewart 5, Jireh Washington 22. 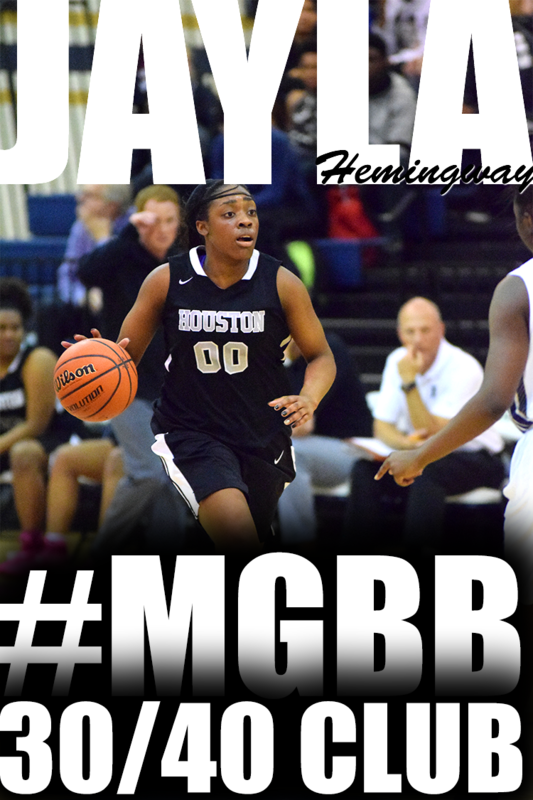 Hamilton (66) — Darnesha Green 1, M.J. Isaac 11, Shamya London 10, Kyra Nathan 14, Undrea Porter 10, Tesia Thompson 20. Records — Central 8-3, Hamilton 6-3. I have to be honest. This young lady is one of the reasons I decided to start back doing highlights. When a player has been scoring a million points a game since hitting the high school scene (and as an 8th grader), you have to capture it. You also have to love her personality while she's playing. She enjoys every moment she's on the court. Constantly laughing and high 5ing her teammates. She's even out there encouraging the younger players. W.E.B. DuBois (50) — C. McGowan 8, C. McGowan 10, M. Ruffin 1, J. Ruffin 8, T. Guy 2, A. Thomas 8, A. McKinney 11, J. Evans 2. Carver (60) — Brittany Davison 22, Mildred Goins 8, Faith Moore 2, Octavia Moore 22, Tarciania Sutton 3, Christianna Williams 3. St. George’s (25) — Molly Courtney 7, Madeline East 3, Grace Hunt 8, Grace Kenley 2, Abbigayle Roberts 5. Harding (59) — Zaria Christy 4, Kelsi Elkins 8, Anna Horner 8, Carmen Jones 4, Antoinette Lewis 15, Sarah Luttrell 6, Carly Rhoads 4, Elaine Savage 2, Callie Stubbs 5, Valecia Harris 3. MBA (49) — S. Gillard 8, S. Hamilton 14, S. Murray 9, K. Rucker 8, C. Taylor 4, A. Jones 2, D. Pickett 4. KIPP (16) — Meshika Bishop 3, Bria Brown 2, DeShuna Clark 1, Nicquala Maxwell 4, Rachel Miller 5, Terrica Wallace 1. GRAD Academy (38) — A. Barnes 9, A. Coppage 9, B. Duckett 7, L. Edwards 9, D. Walton 2, J. Turner 2. 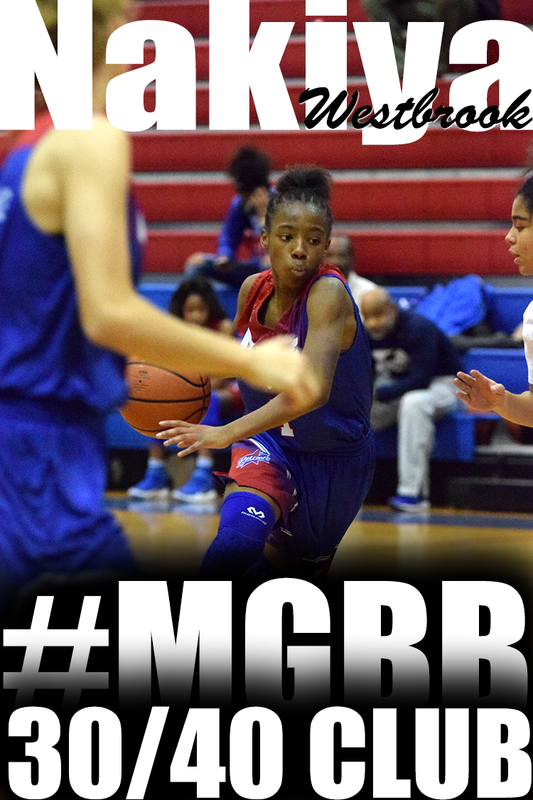 MLK Prep (46) — Darriel Anderson 13, Ronnie Williams 12, T. Moss 6, Quiesha Paige 15. Records — MLK Prep 3-6. Middle College (5) — Tierrra Jackson 1, Destinee Walls 1, Ramisha Brice 2, Jatonia Campbell 1. Northside (52) — Amber Cohen 16, Lindsey Laird 2, Amber Mitchell 15, Starkisha Saine 4, Joy Westbrook 13, Vekia Richardson 2. Records — Northside 6-4 (3-0, 16-A). Power Center Aca. (43) — Serina Finnie 9, Atlantis Jories 2, Dana Moore 7, Allison Sledge 11, Jasmine Smith 2, Makayla Wright 12. Oakhaven (52) — Tenetria Brown 2, Corlisha Howard 13, Ladawna Jones 13, Ari-zhane Lynch 17, Ambreisha Smalls 2, Simantha Smith 5. Records — Power Center Aca. 4-5, Oakhaven 5-2. Melrose (25) — Ashley Bennett 2, Tanyae Ferrell 6, Kelsey Green 4, Zanndrea Watkins 2, Blair 11. Overton (75) — Derykah Dailey 2, Lyric Douglas 2, Rodrea Echols 8, Kyla Green 15, Dontrecia Johnson 2, Jalisa Jones 5, Ciera Pettis 12, Kiara Pettis 3, DeAysia Reeder 1, Kayla Williams 12, Anterrica Willis 13. Westwood (17) — Marnique Burton 10, Jasmine Long 3, Tacoria Stokes 4. Raleigh-Egypt (55) — Taliya Davis 2, Dynesha Echols 12, Brenda Fields 18, Diamond Hunt 5, Jerika Isom 18. Craigmont (58) — Kiara Caswell 12, Danielle Conley 14, Taylor Crutcher 2, Morgan Morris 10, Jessica Neal 4, Daja Scurlock 14, Jasmyne Thornton 2. Sheffield (23) — Breanna Beason 10, MaKayla Billups 2, Demetria Blackmon 2, Alaneshia Bullock 1, Infiniti Robinson 4, Cabria Thomas 4. Records — Craigmont 8-2 (2-0, 16-AA), Sheffield 2-9 (0-1). Mitchell (71) — Dominique Chatman 5, DeMiya Grandberry 13, Nicole Johnson 4, Chasity Jones 2, Kiara McCollins 17, Equeria Patterson 7, Derenisha Taylor 23. Soulsville (48) — Martiana Chatman 4, O. Jones 3, Yeneique Meredith 11, Moriah Muhammad 30. Records — Mitchell 6-4 (2-0, 16-A), Soulsville 4-4 (1-1). 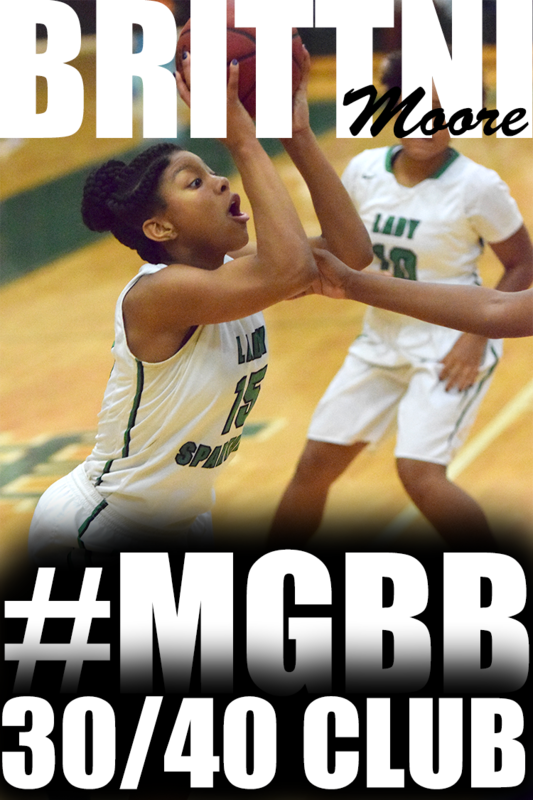 White Station (54) — Damiah Griffin 8, Dejah Montgomery 15, Emanye Robertson 29, Taylor Williams 2. Whitehaven (50) — Brandi Clay 11, Ebony Malone 2, Maia McCoy 1, Tia Polk 2, Brianna Shaw 4, Lanecion Soward 7, Oraya Turner 1, Morgan Walton 2, Ariel Williams 20. Records — White Station 6-2 (2-0, 16-AAA), Whitehaven 8-3 (1-1).